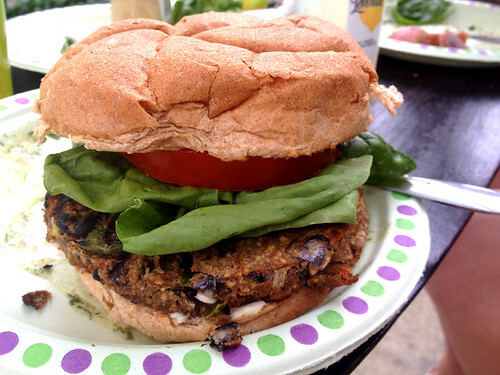 I finally fired up the barbecue grill this past weekend, for the first time this year – and, of course, my friend Michelle and I grilled veggie burgers to celebrate. I had picked up these burgers at Whole Foods when I saw that they were on sale, although at the regular price of $5.99 for a box only containing two patties, I would have normally deemed them overpriced for frozen veggie burgers. They are vegan, and the ingredient list is full of familiar, healthy things. I had no idea how well the patties would do on the grill, but I brushed them with a little olive oil to keep them from sticking, and laid them out over the flames. To my delight, they grilled up quite well, and were never in danger of falling apart as I flipped them! They did look a little bit dry by the time I took them off the grill, but we ate them with fresh spinach, tomato, and mayo on whole wheat buns, so any dryness from the grill was compensated for by those toppings. Michelle remarked how pleasantly spicy the patties were – they had a nice, bold flavor (but would still not be too spicy for someone who does not care for spicy foods). I was quite impressed too: although they had come from the frozen foods aisle, these patties could have almost passed for homemade once they were cooked. They held together well and did not fall apart as we ate them, but they were not the dreaded “hockey pucks” either. The texture was just right. And mixed in with the black beans were large chunks of peppers and other vegetables, giving it even more of a homemade feel. 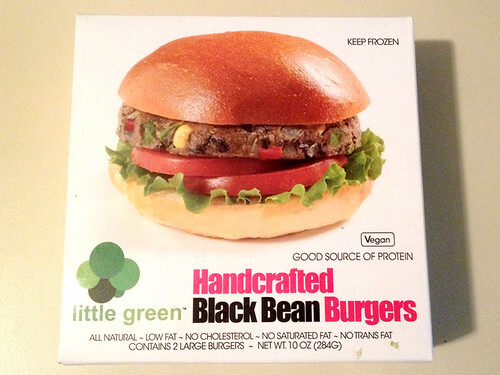 The box actually calls them "handcrafted" black bean burgers, and I can see why! 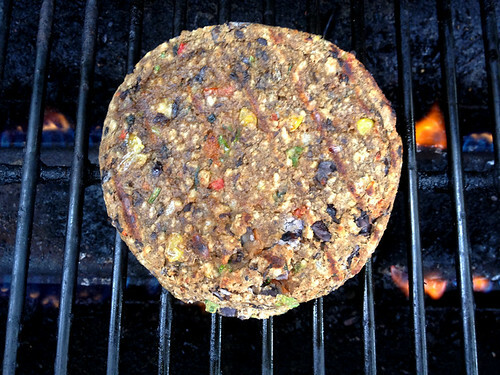 Although they are not the most economical choice of frozen burger patties, they were so delicious that I would definitely consider trying some of the other Little Green veggie burger varieties - or treating myself to these black bean ones again if I feel like splurging for a special barbecue party! 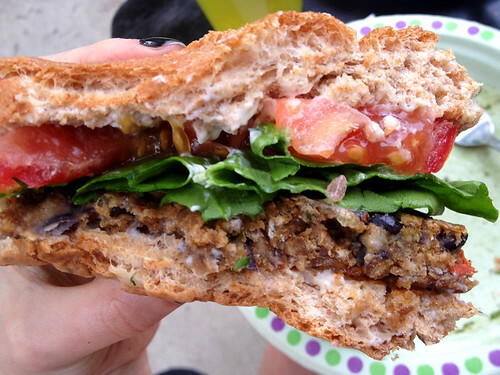 Considering buying a crummy veggie burger anywhere costs about $8-$10 it sound like those are totally worth it!